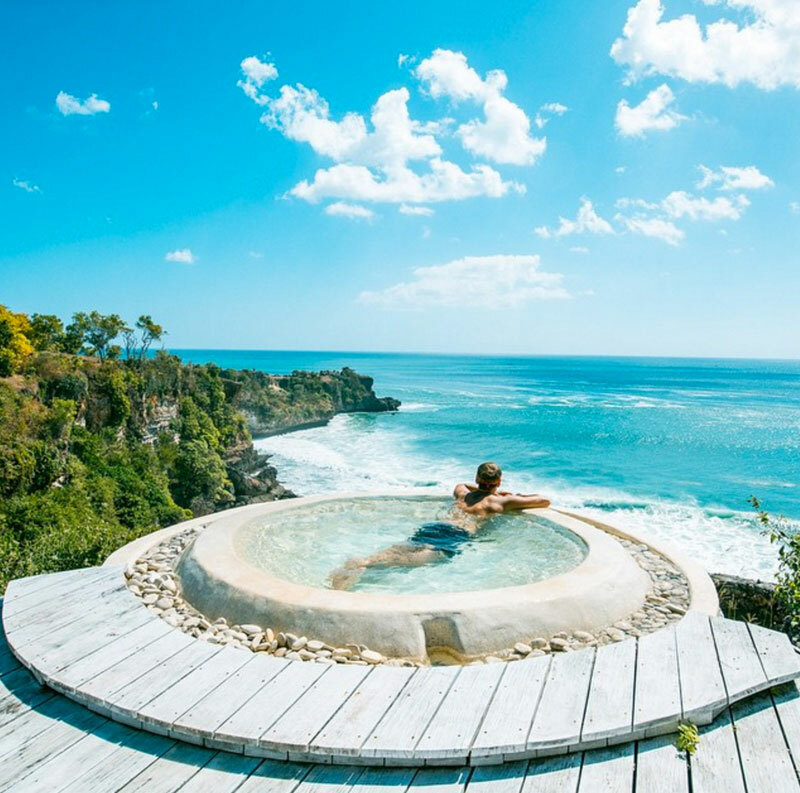 With its reputation as Southeast Asia’s relaxation capital, it’s little wonder that day spas of every description have popped up all over the island of Bali. 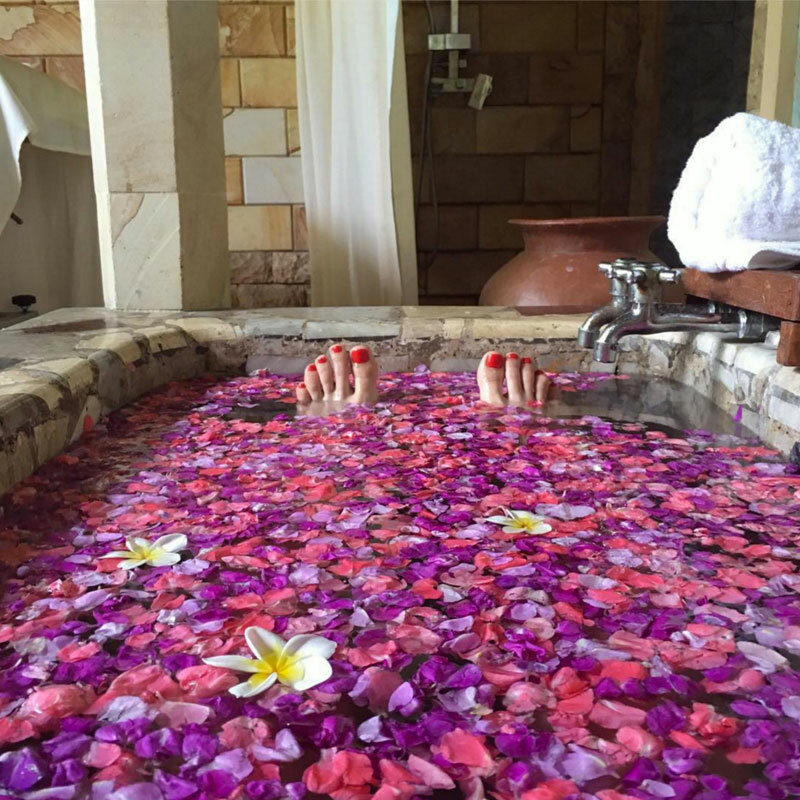 No matter how you like to be rubbed, scrubbed, perfumed and pampered – there’s a day spa in Bali that has exactly what your body craves. The problem is, the cheapest back alley day spas won’t exactly leave you with a lasting impression of luxury and serenity, and the higher end spas, well – they’re best kept for special occasions or budget blow outs. 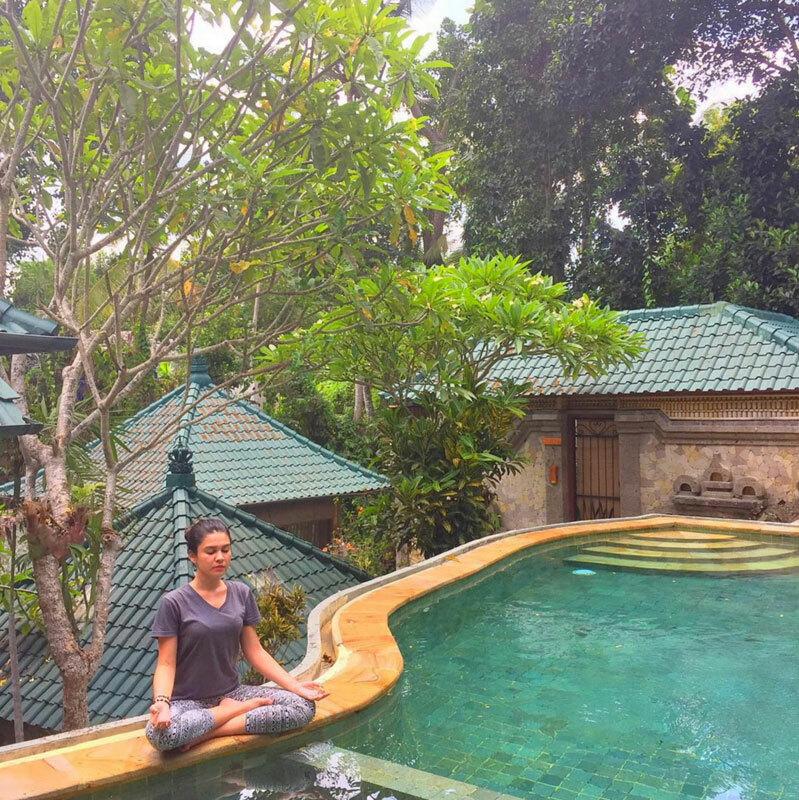 Fortunately, a few mid-priced wellness centres in Bali have something that a lot of other budget-friendly day spas don’t. We’re talking views, glorious views. 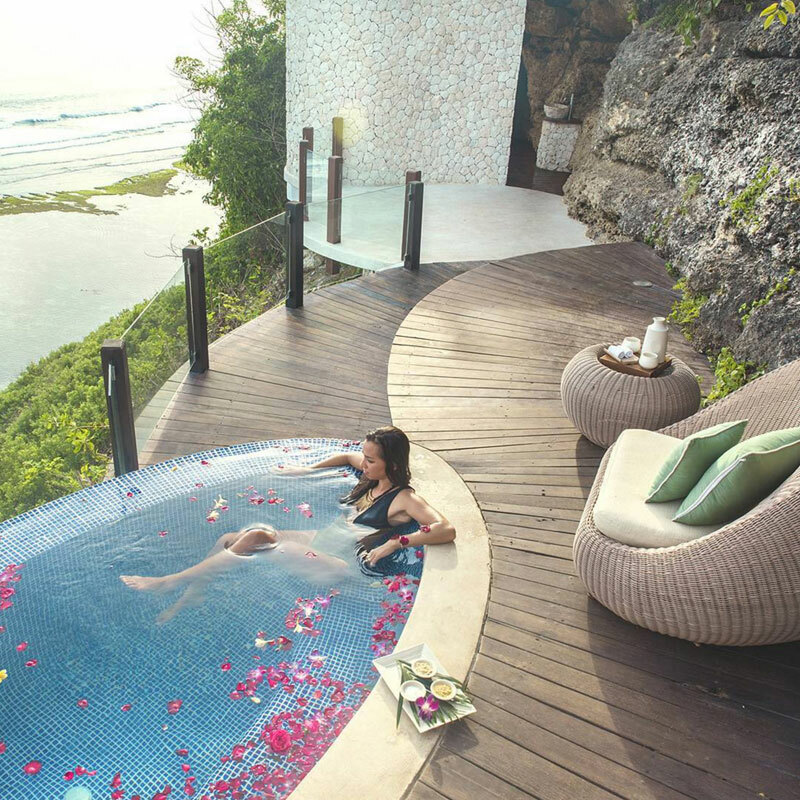 Whether you want to relax surrounded by the mountainous countryside of verdant Ubud, or get scrubbed down while being soothed by the seductive sounds of the Indian Ocean – these 10 day spas will transport you (face down!) into tropical paradise. And to make it even sweeter, they are all super affordable! 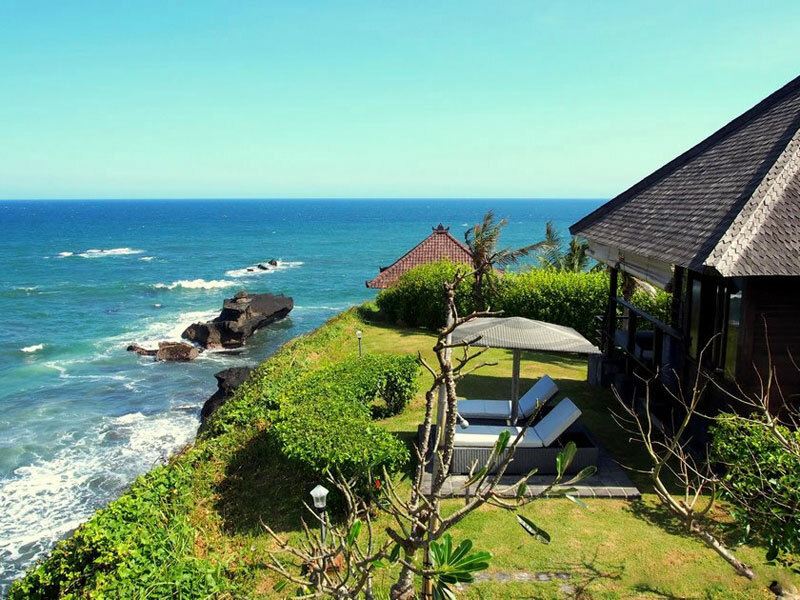 A minutes’ walk from Balangan Beach are the traditional thatched roof villas of La Joya. 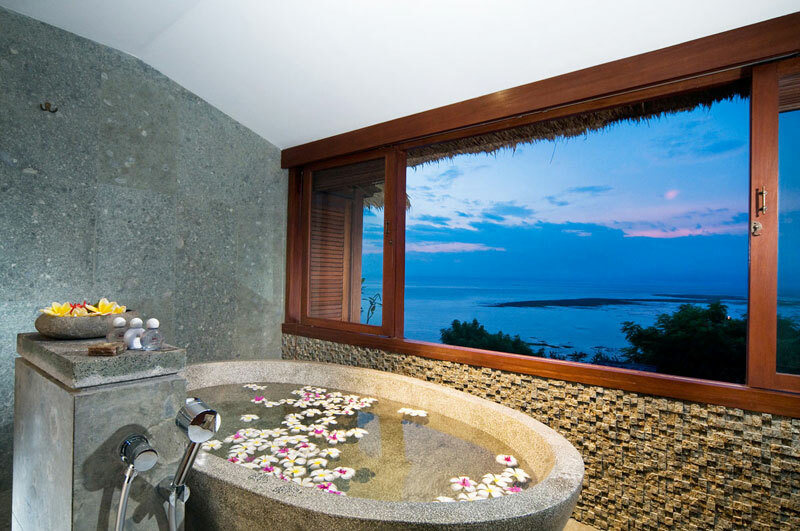 Unremarkable at first glance, yet home to one of the most amazingly located day spas in Jimbaran. A garden path leads you to a secluded refuge of wellness and indulgence, overlooking the expanse of Balangan Beach just a few beats of a butterfly’s wings away. Stretch out beneath the thatched roof of the open air massage villa and melt away in both mind and body with an intimate view taking in coastal splendour of Jimbaran in all its glory. Treatments span the globe of healing knowledge, range from ancient Ayurvedic massage to hot stone therapy, shiatsu and traditional Balinese and Thai massage. Price: A one and a half hour Ayurvedic massage is $26, while the classic Balinese massage is $15 for an hour. An optional body scrub and hot shower at the end of your massage is just an additional $7. 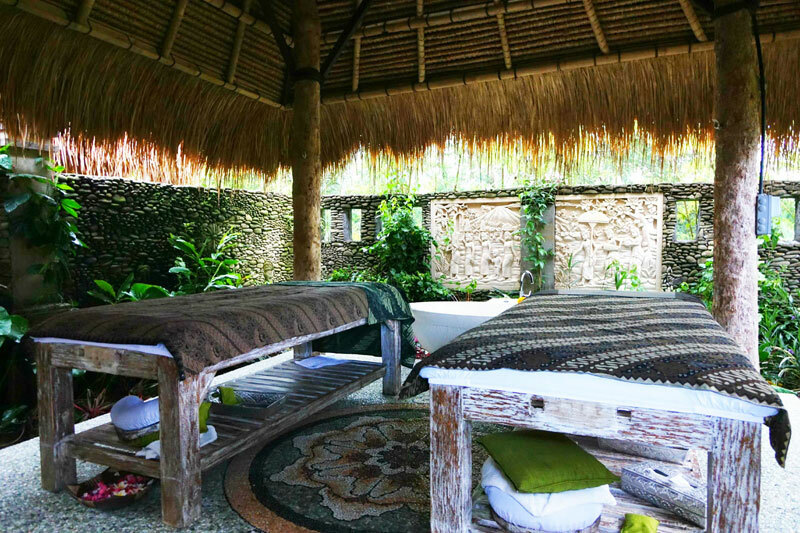 Maya Ubud Spa isn’t exactly a budget experience, but it’s so incredible we just had to share it. 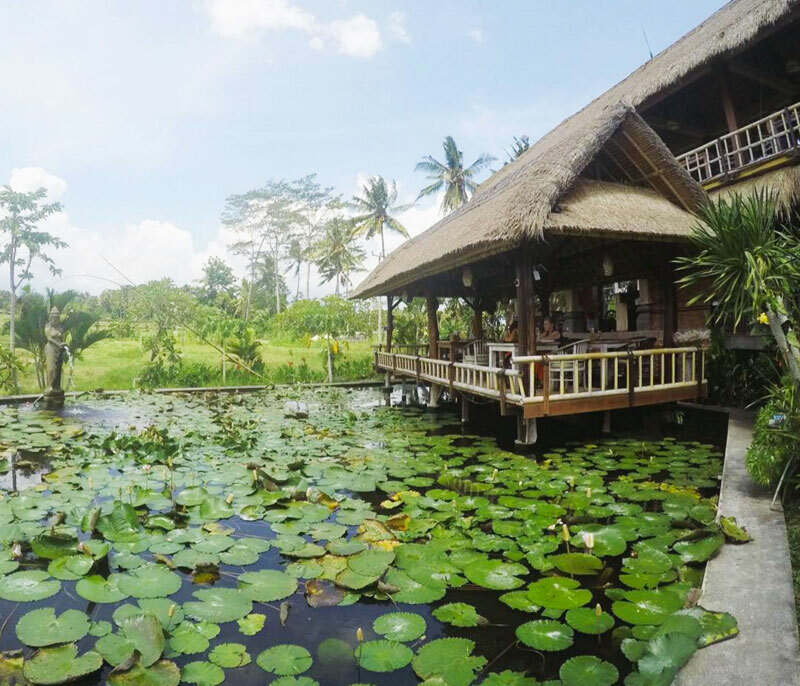 A resort and spa in a secluded location alongside the Petanu River – the property overlooks the verdant Peliatan rice fields and is set on 10 hectares of lush tropical gardens. Just getting to the spa is an experience itself. Entering the resort grounds, you descend by elevator to the sunken spa room level. 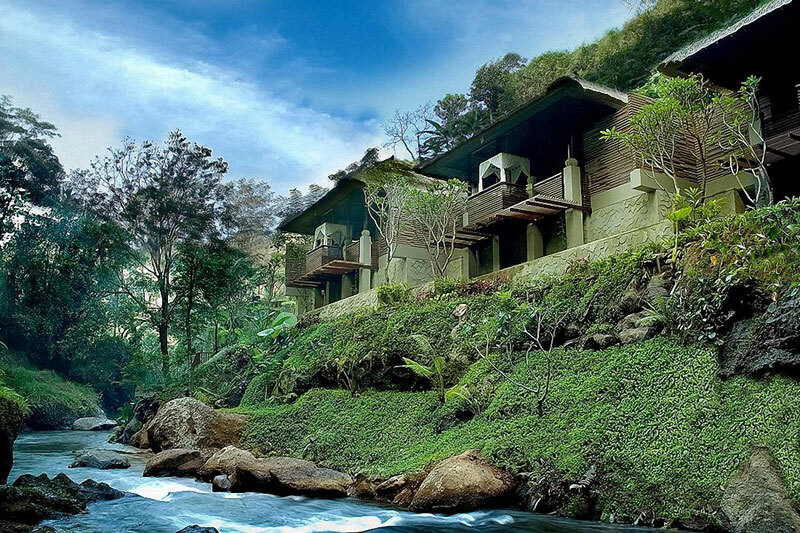 With a view of the river, relax amid dappled sunlight and lush valley views. 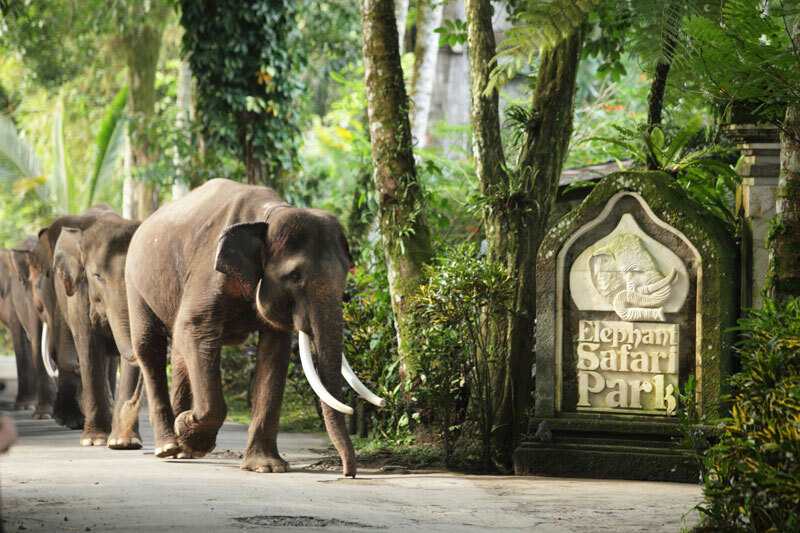 Walkways wind through the lush foliage to private treatment rooms, each one lavishly decorated and featuring a private daybed overlooking vertical gardens the rainforest valley. One for serious spa connoisseurs, Maya’s expertly trained wellness practitioners provide a variety of specialty services, from reflexology massages to rejuvenating skin care treatments. PS: Spa at Maya is a true luxury wellness experience. 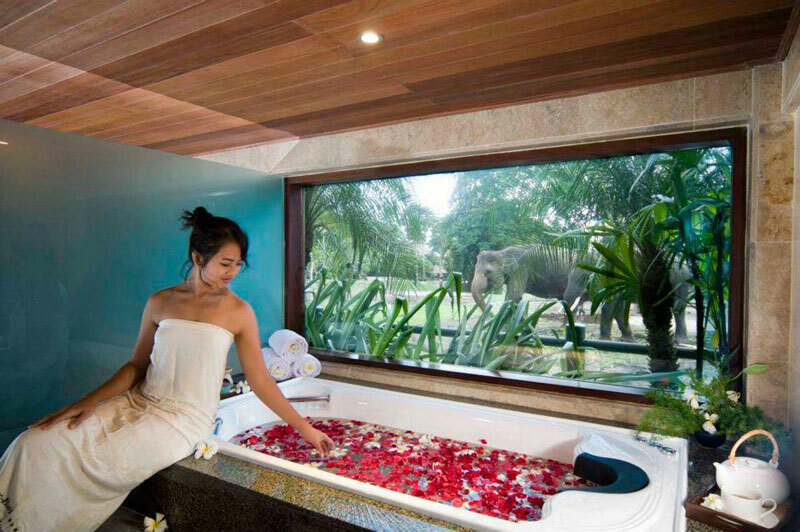 To experience the spa without spending big, simply enjoy the 30 minute herbal or flower bath. And if you have the cash to splash, you’ll definitely enjoy a 60 minute Balinese massage here. 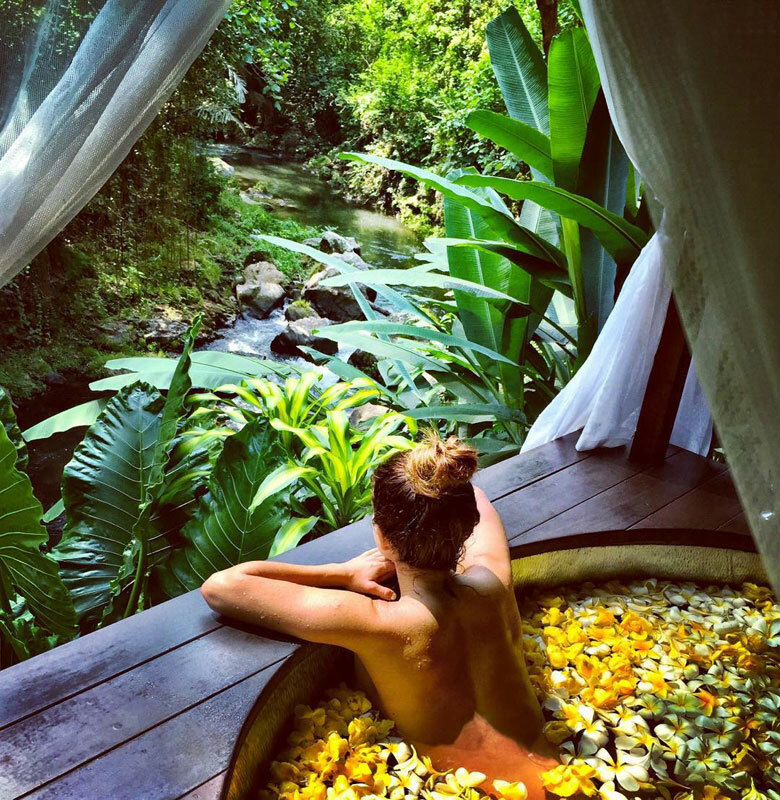 This eco-focused spa, health-conscious restaurant and yoga centre is located in the heart of Ubud, in a secluded river valley that runs between Monkey Forest Road and Jalan Hanoma. The property’s grounds and rainforest settings inspire an instant sense of calm, with views over waterfalls, Balinese pavilions and stands of tall bamboo. Book a massage or spa treatment and the internationally-trained staff at Taksu will guide you through the gorgeous grounds to a quiet, soothing space – where treatments are based on ‘the spirit of the river and the forest’. 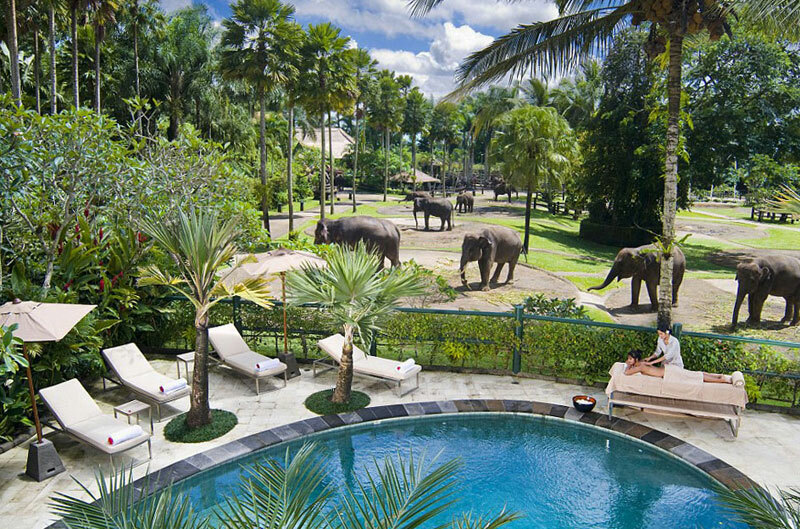 There’s also a saltwater pool for a post-massage soak amid the forested gardens! 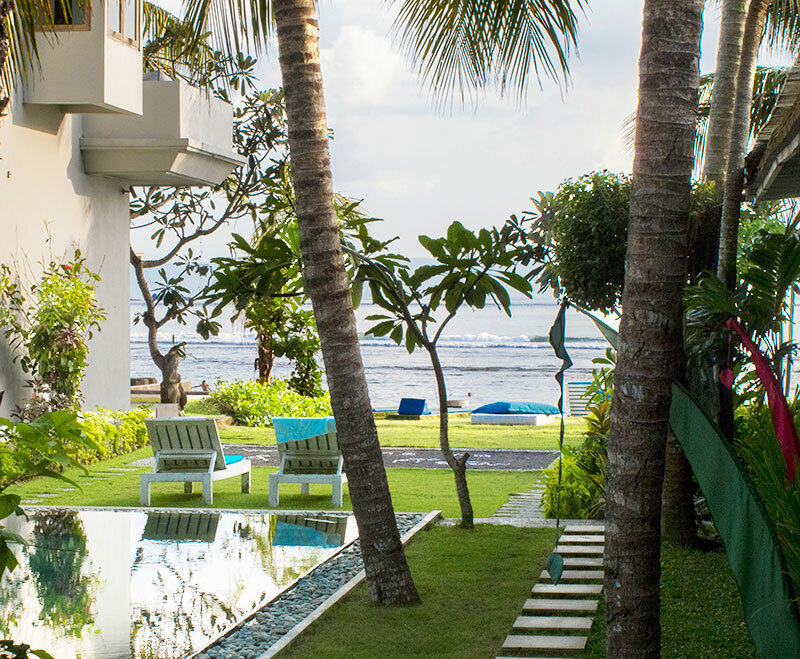 Located in serene Candidasa, and far from the often not-as-relaxing resorts of Kuta, Aquaria Bali is the perfect charming and contemporary resort. Built near the water’s edge down a meandering, palm-tree lined driveway, Aquaria has a focus on health and wellness. 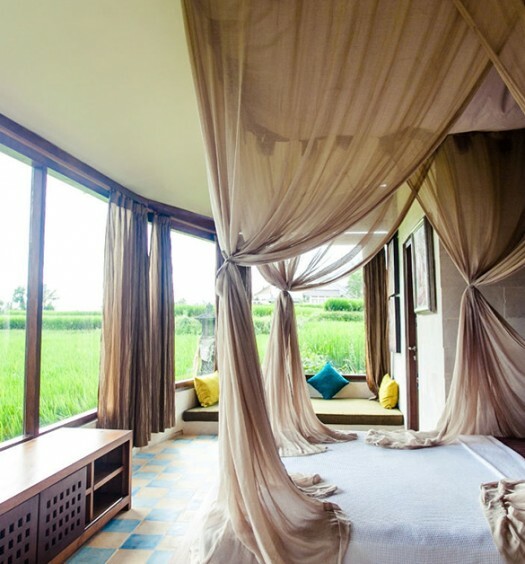 With owners trained in Aquarian therapy (a mixture of massage, reflexology, aromatherapy and visualisation), traditional Balinese and Chinese techniques have been weaved into the spa’s menu of healing treatments. The wellness centre, available for resort guests and day visitors, offers a serene space where you can listen to the ocean’s pulse – as your troubles are rolled away in gentle waves by the skilled masseuses at the surfside spa. 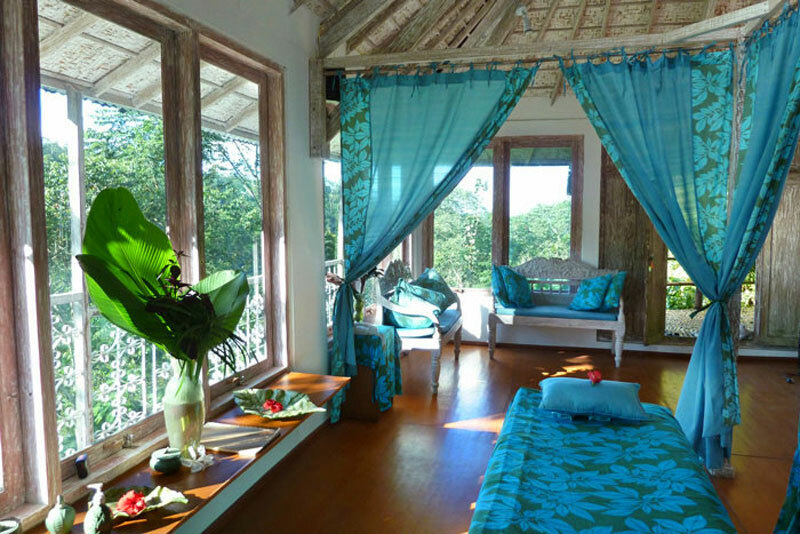 …with trained Reiki massage practitioners, Ayurvedic organic oils, an eco-friendly philosophy, and lushly designed and decorated relaxation rooms to match the stunning surroundings. 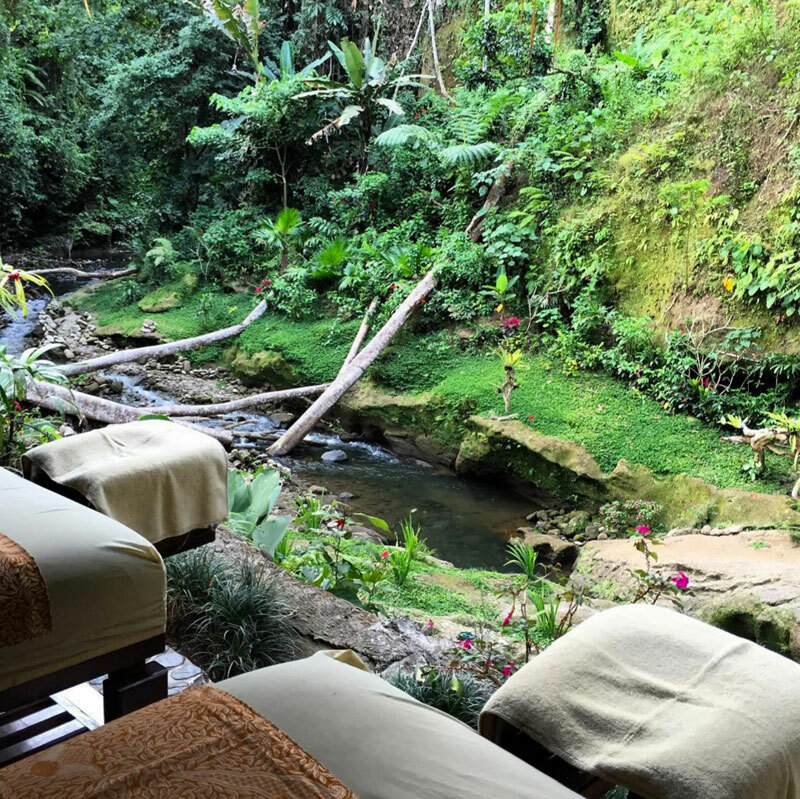 At the top of a small mountain, the grounds of this beloved institution look out across verdant paddy fields, and the gorgeous treatment rooms are swathed in tropical flora and trickling waterfalls. 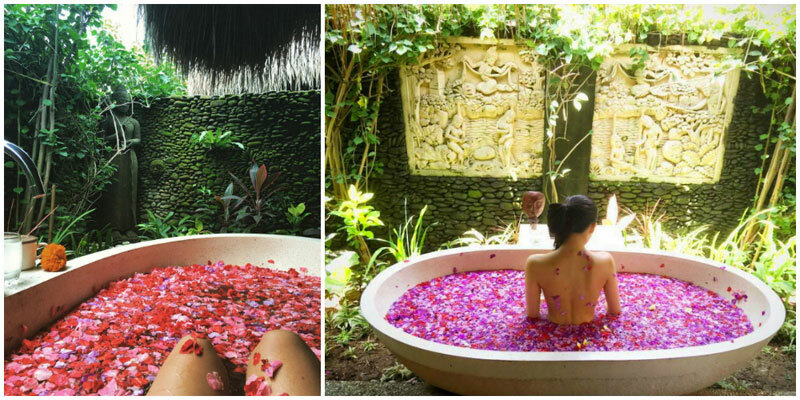 After your rub down, enjoy a soothing fragrant bath in the outdoor spa overlooking Ubud’s countryside. Karsa’s staff are highly trained and dedicated massage practitioners, offering both traditional and Reiki treatments for really affordable prices too! 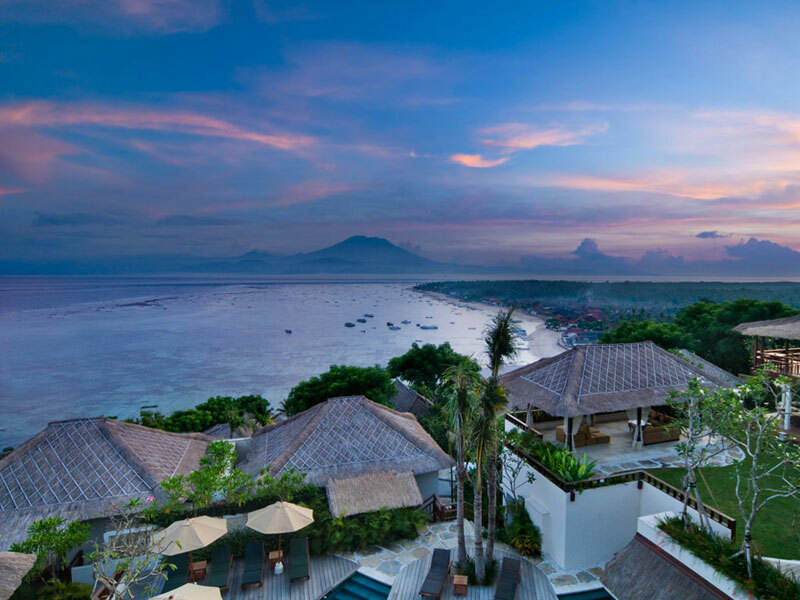 In the green, serene province of Tabanan on Bali’s tranquil west coast, Gajah Minah is a boutique resort of 12 villas. Set on two hectares of tropical gardens, the resort is perched on a headland overlooking a ‘secret’ beach, carved into the volcanic cliffs that the area is known for. 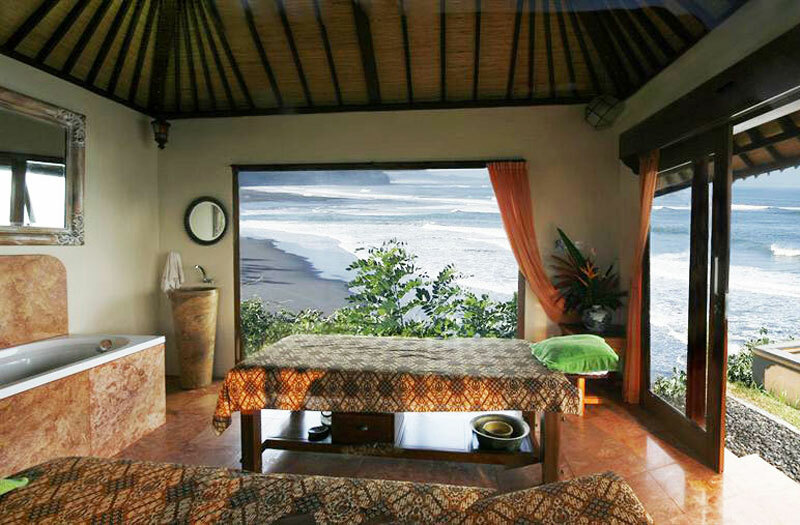 The spa and massage room at Gajah Minah is perched on a headland overlooking the surf spot of Balian on one side, and the unspoiled Menjan Beach on the other. Unlike other budget spas, you’ll never be bothered by the sound of dodgy air conditioning – the soothing ocean breezes will keep you cool and help you relax. 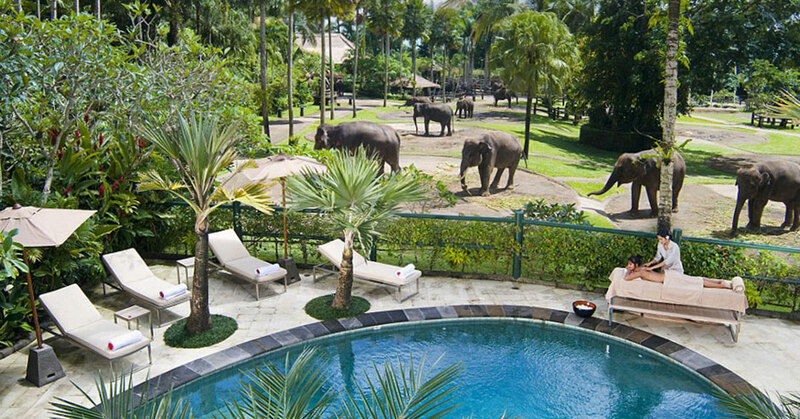 Gajah Mina offers a wide selection of treatments, from a classic Balinese massage using scented oils to body wraps, scrubs and facials, best followed with a soothing soak in an aromatic flower bath. 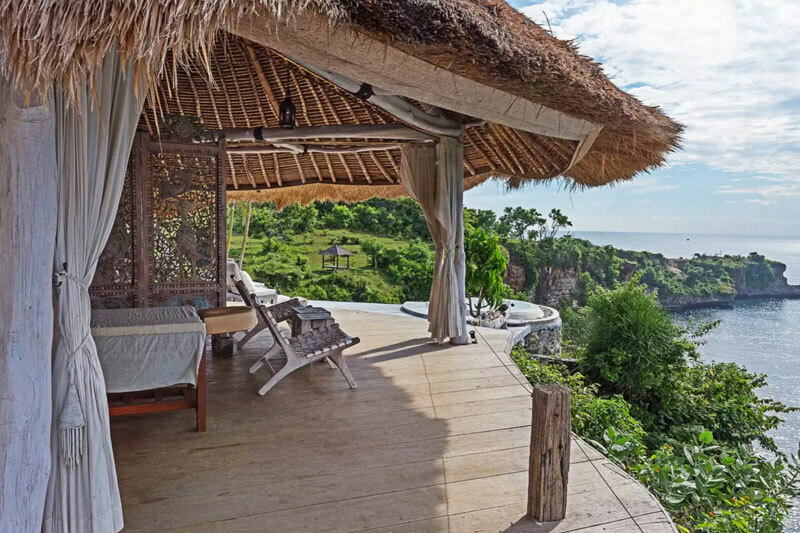 Built in the middle of the hills in a hidden valley near Kintamani volcano and the traditional village of Pelaga, this cosy eco-lodge is 45km from Ubud in the mountains of central Bali. 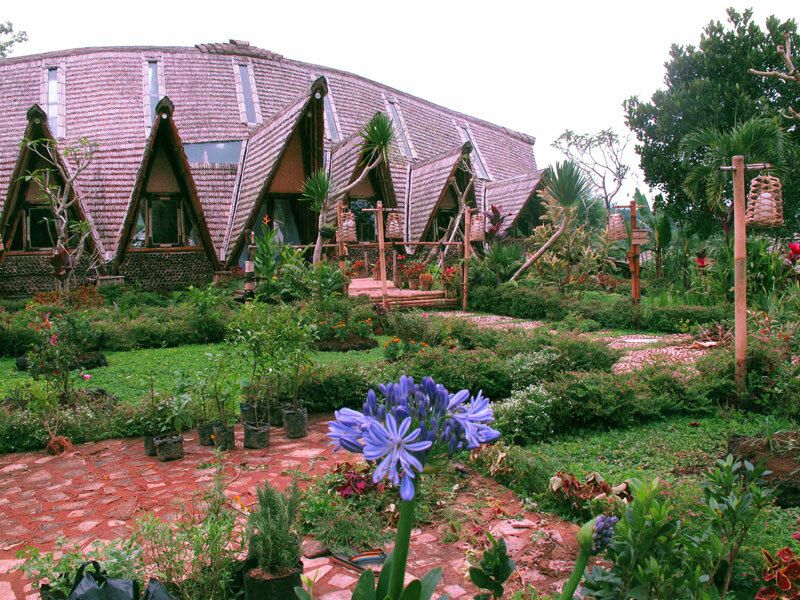 Whether you’re staying at the lodge or touring the area for the day, it’s worth making a visit to Eco Village’s spa room. Built in traditional Balinese style, the quaint and cosy spa room overlooks a luscious green valley with wraparound views of the cascading forest and tropical gardens. The traditional style spa room is a perfect environment to indulge in an aromatherapy oil massage or a Balinese mandi lulur (traditional scrubbing). With its amazing views, you know you have to make it part of your relaxation plans! 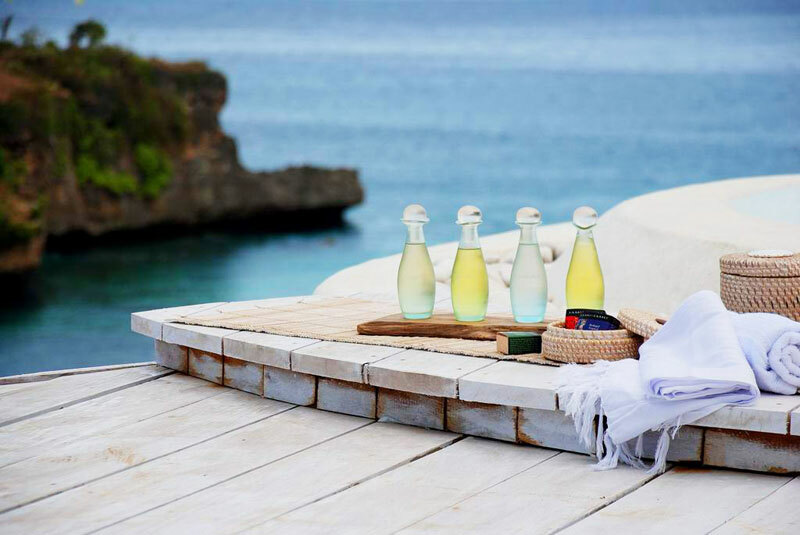 Soak up authentic island life and be soothed by the sensual bliss of a traditional Balinese massage, overlooking the reefs of one of Bali’s most beautiful coral islands. 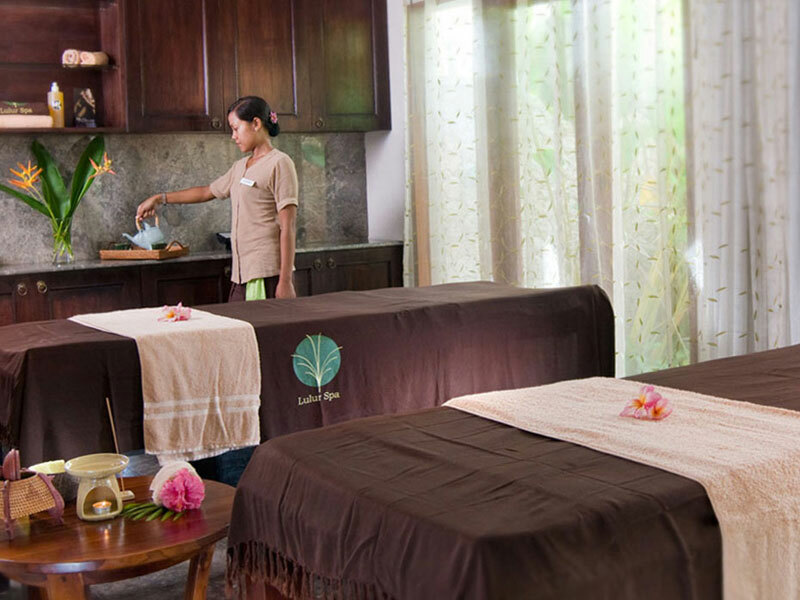 Lulur Day Spa is a calming sanctuary inside Batu Karang Resort on Lembongan Island. Almost completely surrounded by the sea, it’s impossible not to be lulled into a state of complete bliss by the sound of Lembongan’s gentle surf. Lulur’s spa menu features treatments designed to complement the ambience of the island’s natural environment – just the thing for you if you’re feeling a little tired and stressed, and seeking a few hours of indulgent escape. 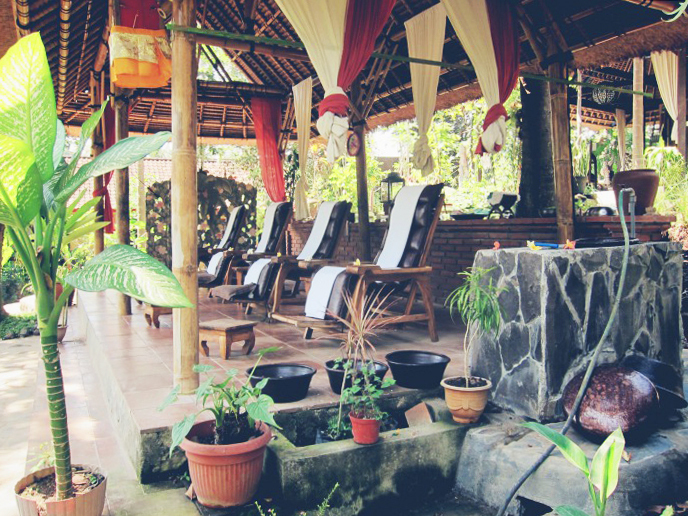 Truly one-of-a-kind, Cantika Spa is situated right in the heart of Bali, in mystical Ubud. 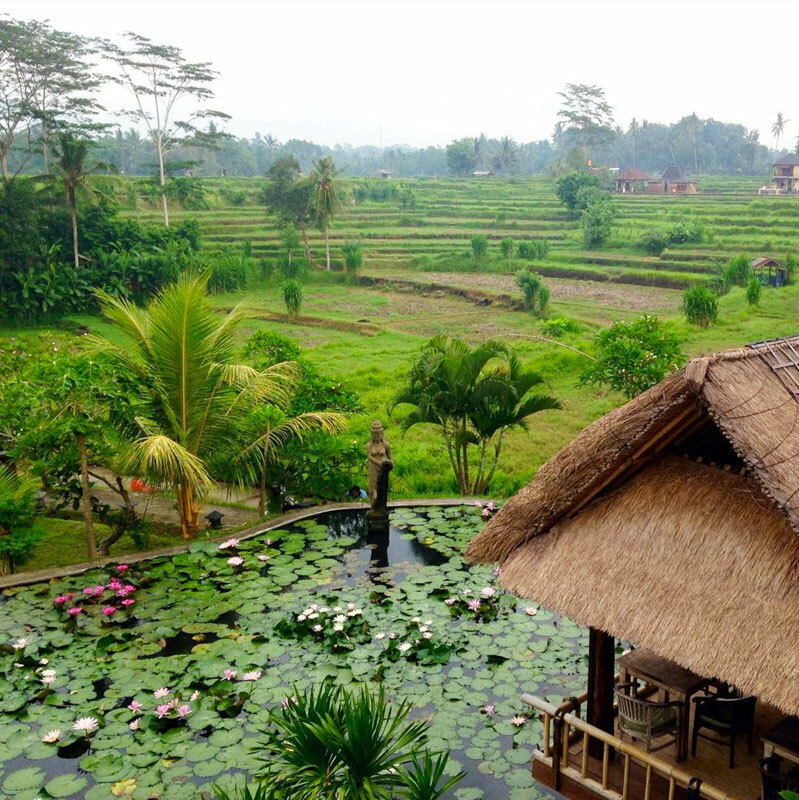 The pathway towards this destination can be achieved by foot through the rice paddies – and it will be well worth both the journey and the visit. The founder, Ketut Jasi, creates her beauty recipes from scratch using only organic products (much like popular beauty brand LUSH) which have earned her a five star client rating. Think shampoos, conditioners, face masks, soap, massage oils, face cream and so much more. 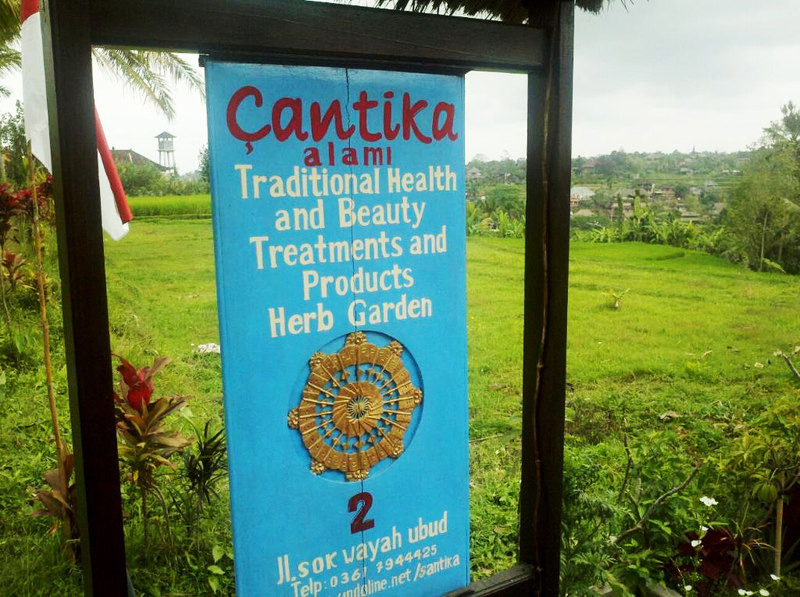 If you’re into healthy living or even the raw/organic lifestyle and are constantly on the hunt for natural products, Cantika Spa is a must visit. 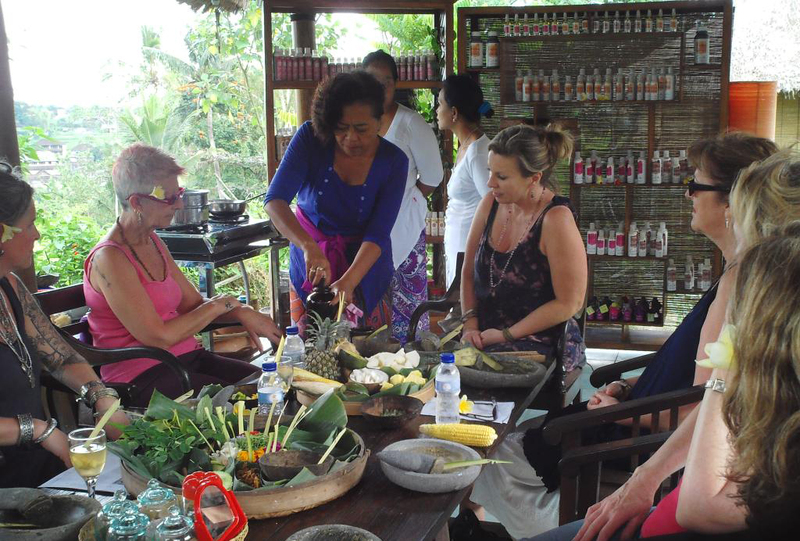 Apart from her organic products, Ketut Jasi also introduced a unique massage style taught to all her spa therapists for a memorable and whimsical journey to the world of calm. 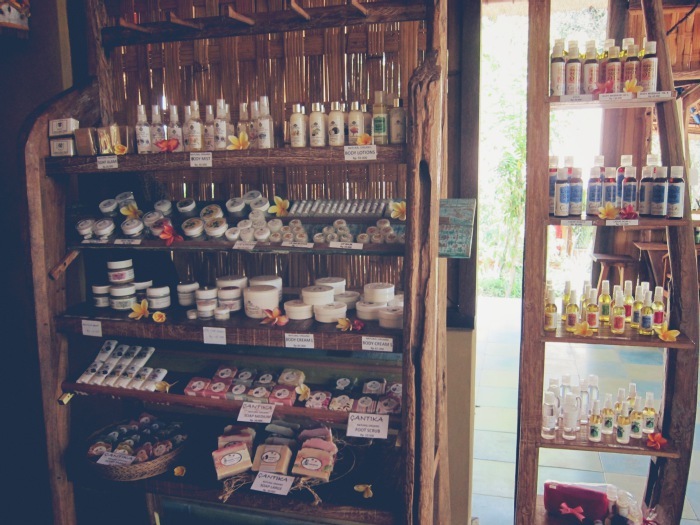 Lastly, a 60 minute workshop is also available for those who wish to learn how to make your own products with herbs from the garden, and Cantika massage techniques. Located in the glamorous villa resort of Karma Kandara, the massages here are nothing short of the royal treatment. 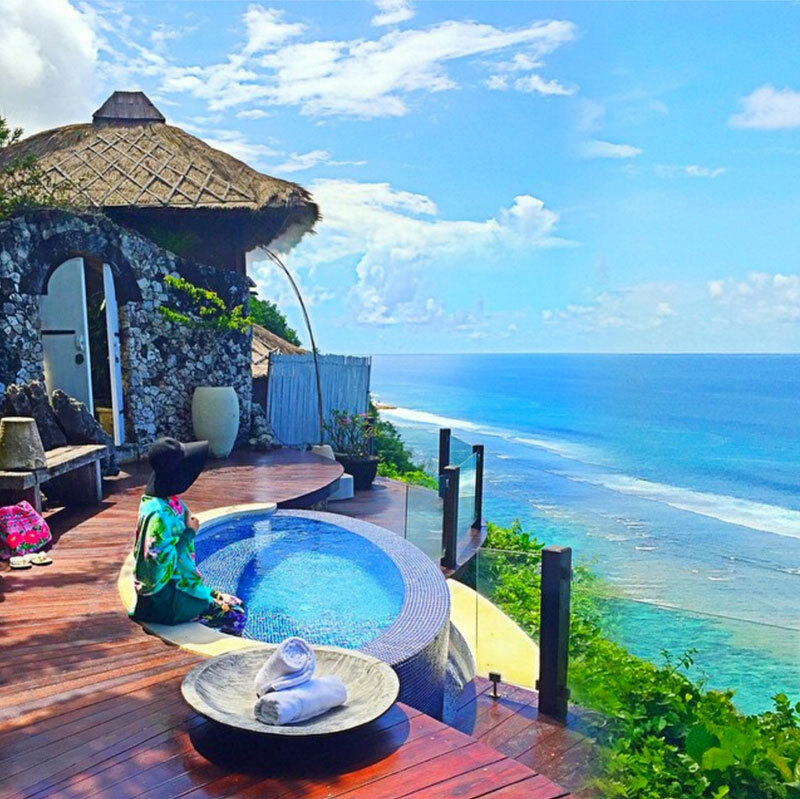 Towering above the gardens to overlook the awe-inspiring Indian Ocean, the luxurious treatments here will take your every worry away (as long as you’re not scared of heights!). The treatments here cost slightly more than the others on our list, but for a uniquely Balinese luxury experience, we think splashing out that little extra is a worthy indulgence. 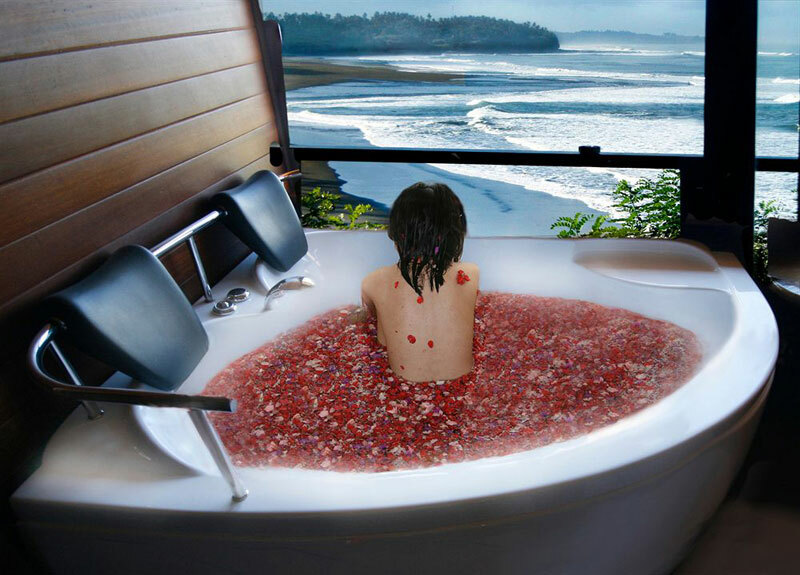 Ps: Try a soak in the Himalayan Crystal Salt Pool, and the Infrared Detox Sauna! 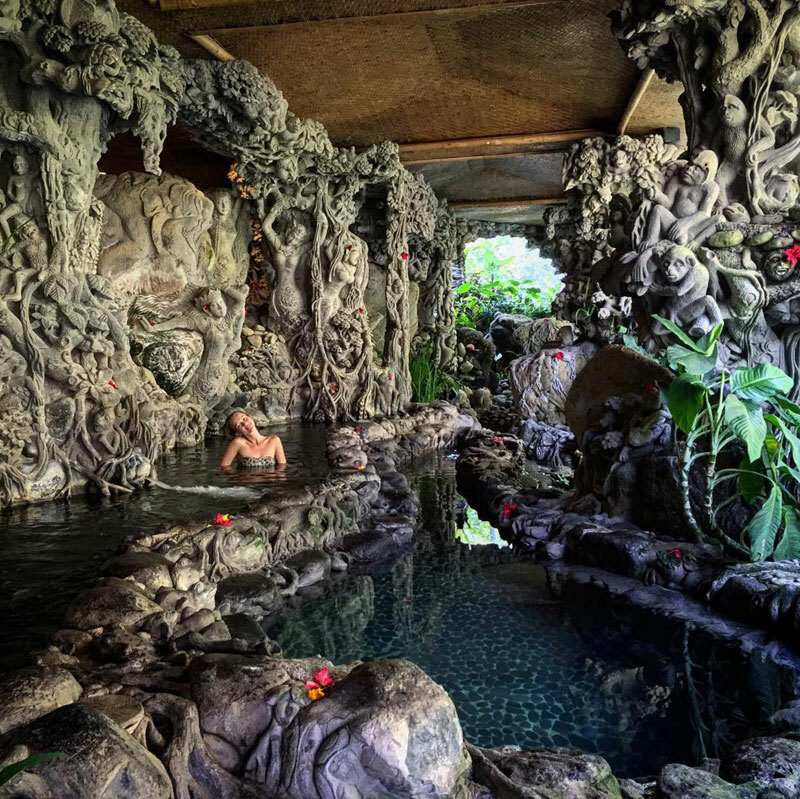 Known locally as Air Panas Banjar, this is not a fancy wellness spa but a series of baths carved out of sacred natural hot springs in the middle of the Balinese jungle. 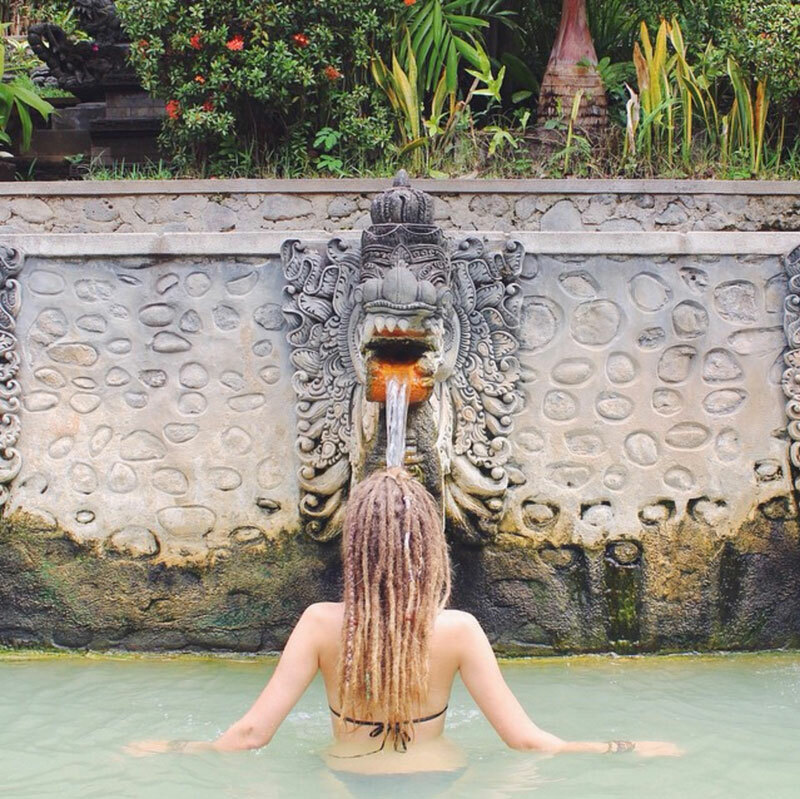 Set in a beautiful sculpture garden close to Lovina Beach in North Bali, the sulfuric water is a constant 37 degrees and is said to soothe and heal aches, pains and other ailments. The bathing pools, built out of stone, are centuries old, and have been upgraded with modern facilities over time! Hot spring water gushes from the mouths of eight stone Naga (dragon-like mythical creatures in Hindu legend) into a large upper pool, before cascading into a series of lower pools. Next to these pools, three Naga spouts create four metre high mini ‘waterfalls’ – and sitting underneath will give you a strong, reviving massage-like effect. 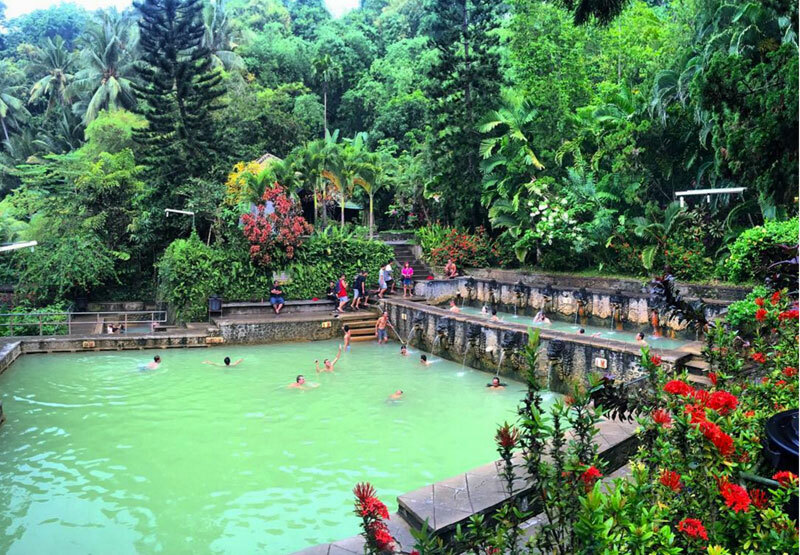 Price: You’ll need to buy a ticket at the gate outside the springs for $0.20 (IDR$ 3,000) The hot springs are open daily from 8am to 6pm. 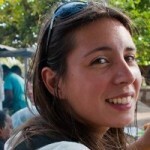 Address: Jalan Banjar, Banjar, Bali 80517. Getting there: The springs are approximately 5km from Lovina Beach. 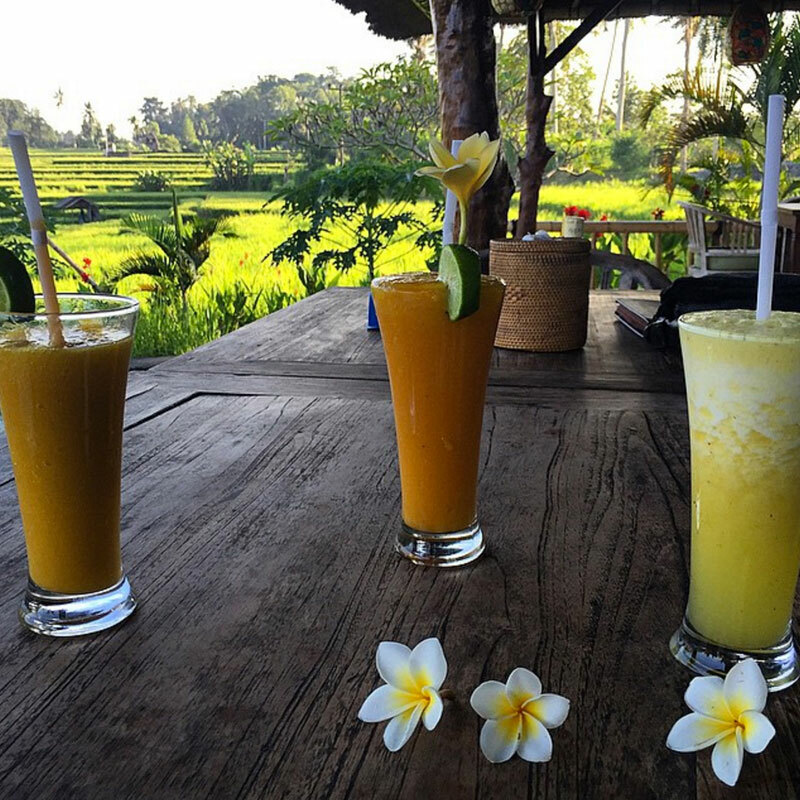 A motorbike taxi or horse cart can take you there from your Lovina resort, or you can stop by as part of a longer day trip from elsewhere in Bali. Coordinates here. 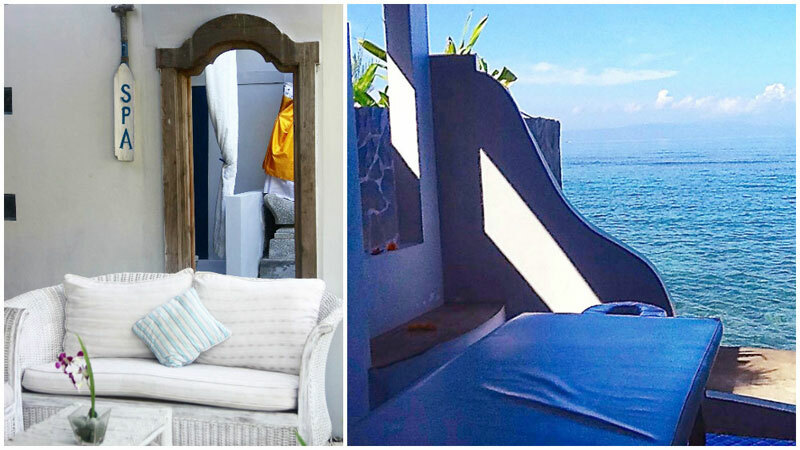 Now you know where the affordable luxury day spas with the best views are, don’t hesitate to seek out a great massage when you’re over in Bali. Let us know in the comments below if we’ve missed any amazing spas out, we’d love to feature them too!